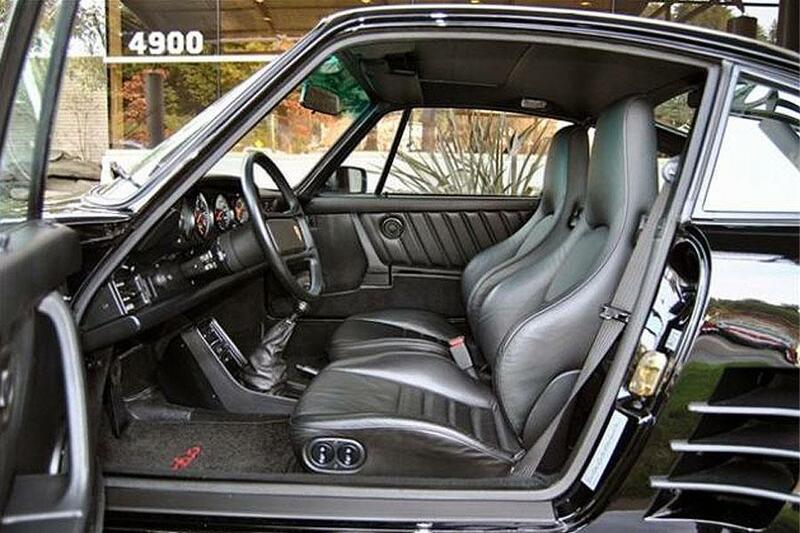 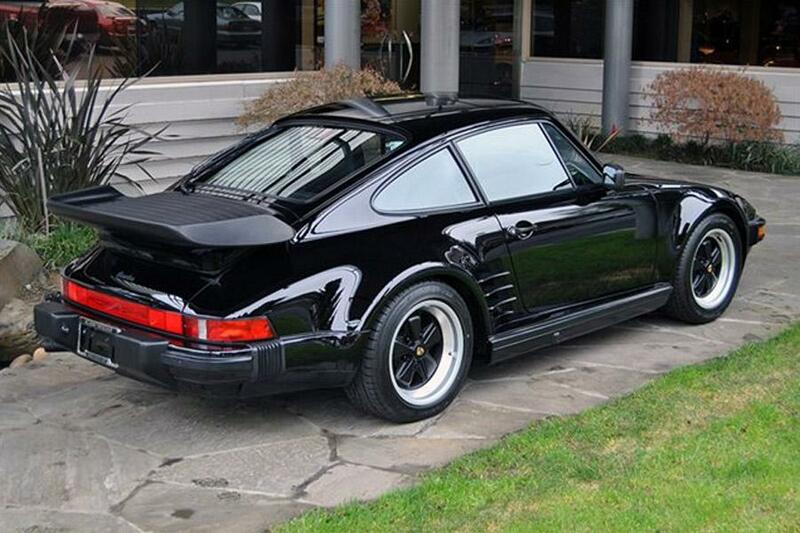 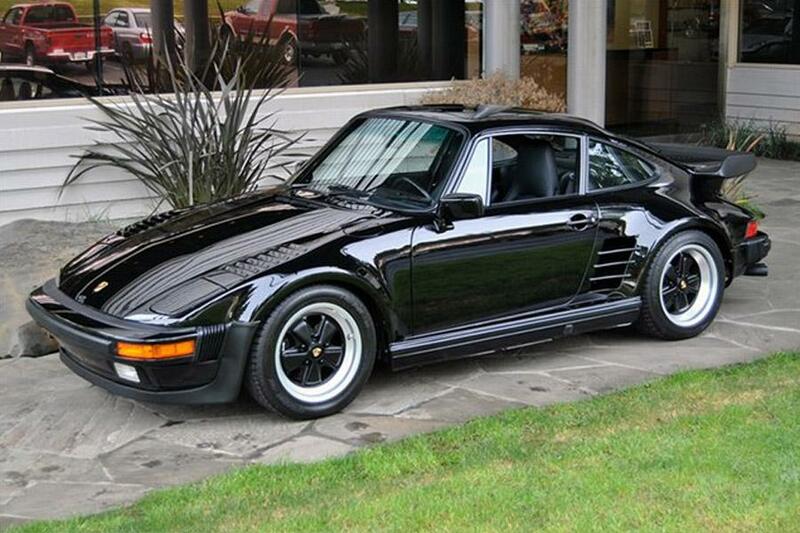 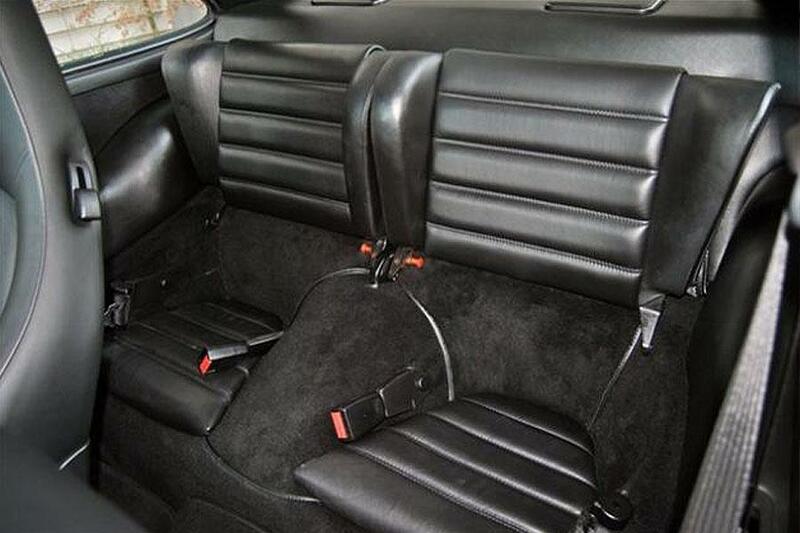 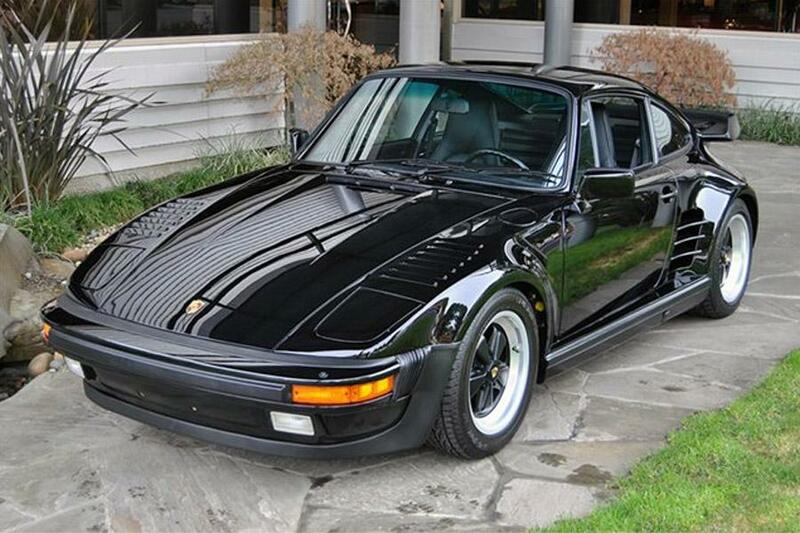 This original, unmolested factory Turbo slantnose is truly menacing in its black on black color combination. 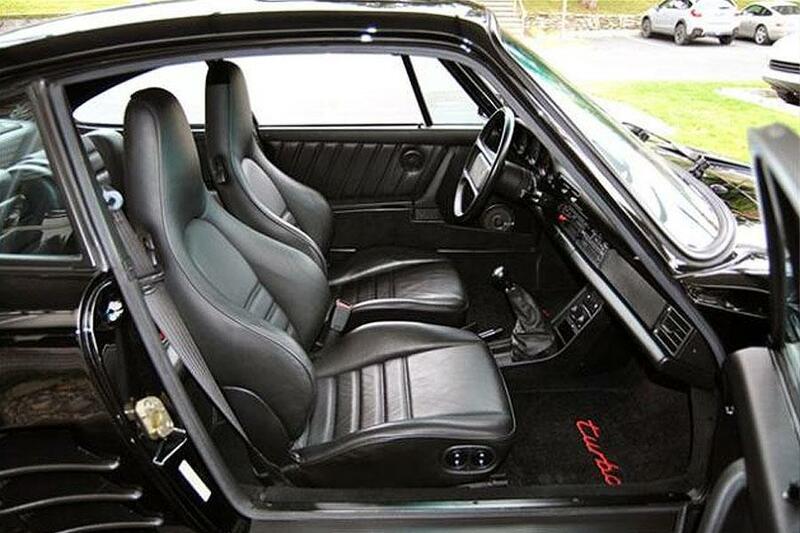 A genuine two-owner car, it has seen only 6,900 miles, and shows just like a new car. 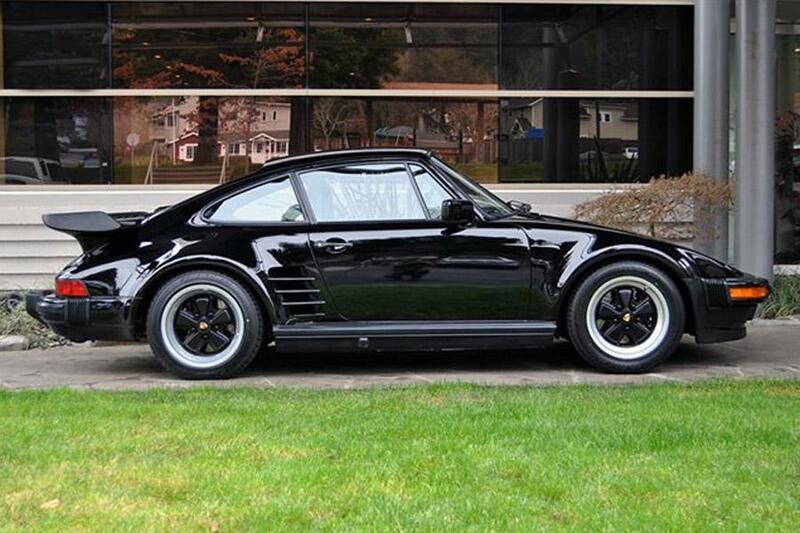 Always maintained and cared for as the collectable it is, the Slant Nose recently received a complete major service including an engine reseal. 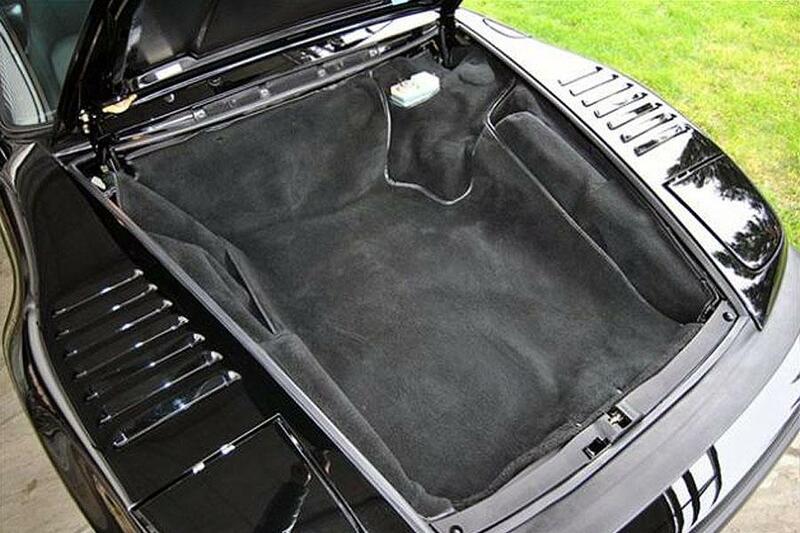 It comes with its original window sticker, books, tools, air compressor and jack. 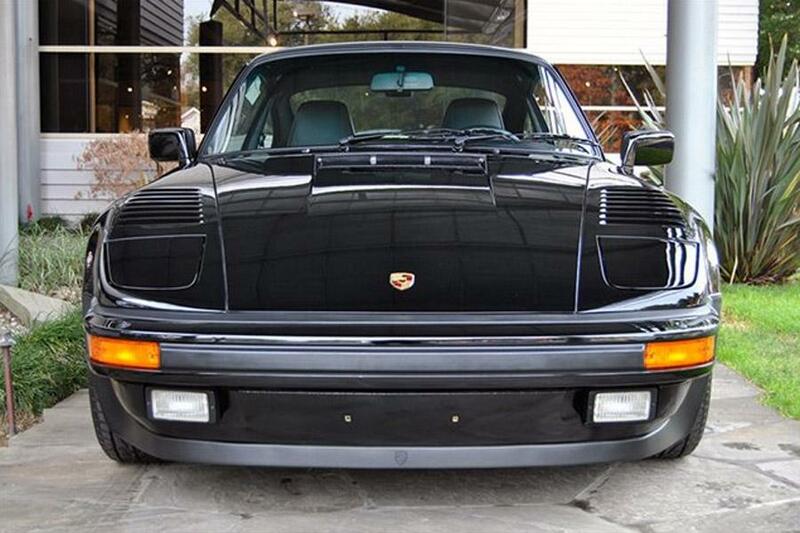 Well maintained and documented this stunning machine is ready to collect, show or drive. Beginning in 1981 Porsche offered a Flachbau (slantnose) 930 under the Sonderwunschprogramm (special order program.) 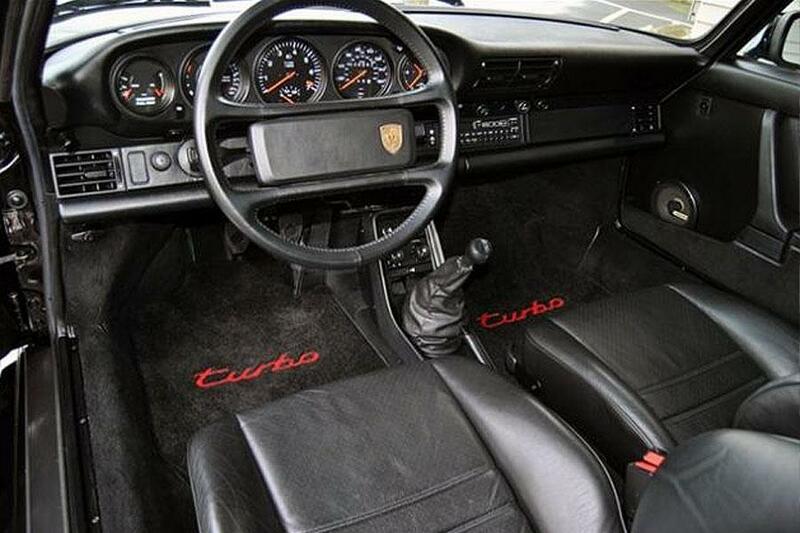 Total production represented less than 5% of the total run of 930 Turbos. 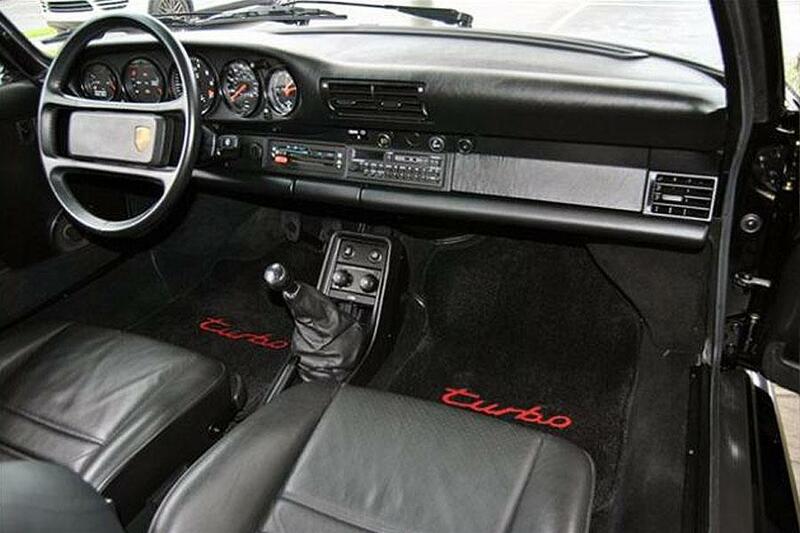 The identity of the slantnose comes from the grafting of the aerodynamic front end from the legendary 935 race car onto the road going 911 Turbo. 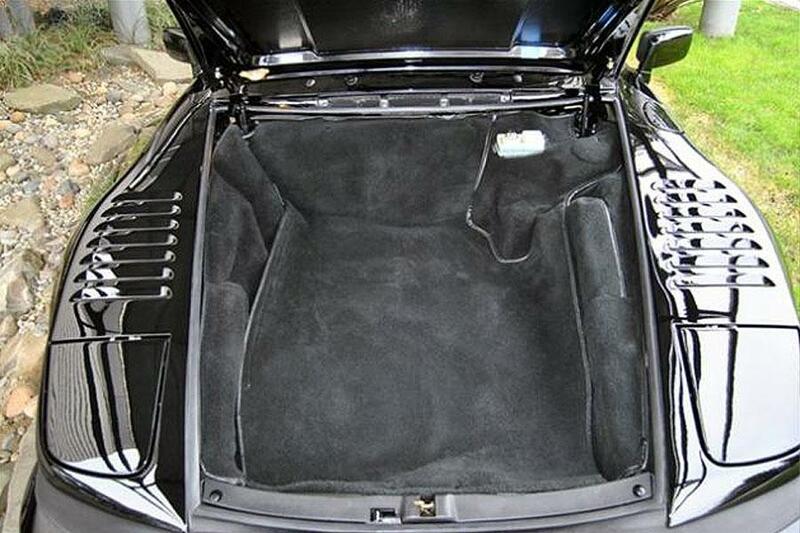 Not an inexpensive option by any means. 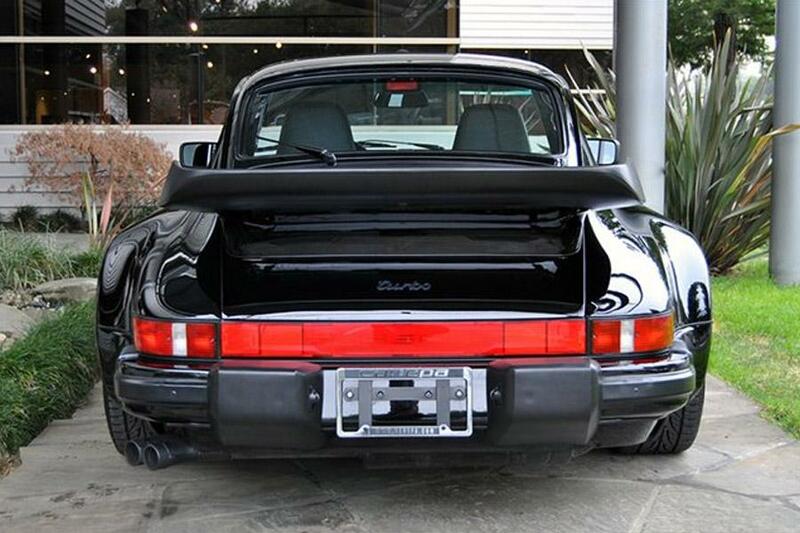 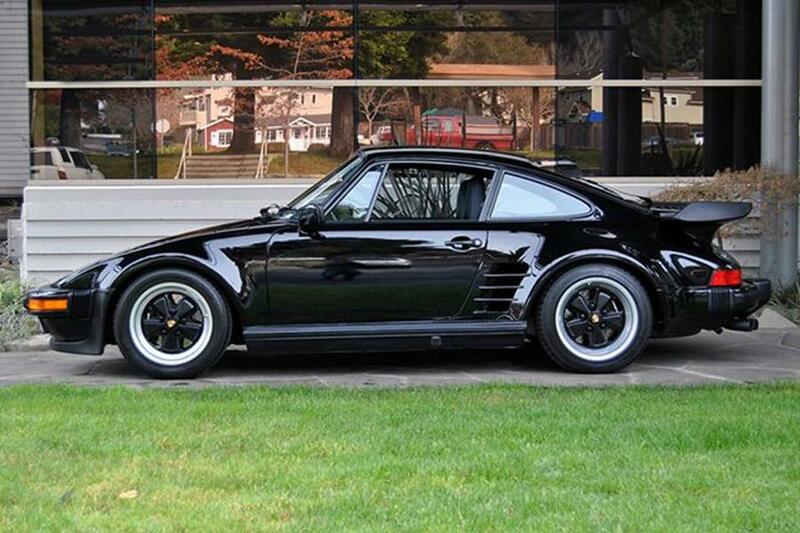 The original sticker was close to $90k in 1987, with nearly $24k being the 930S Slant Nose Package. 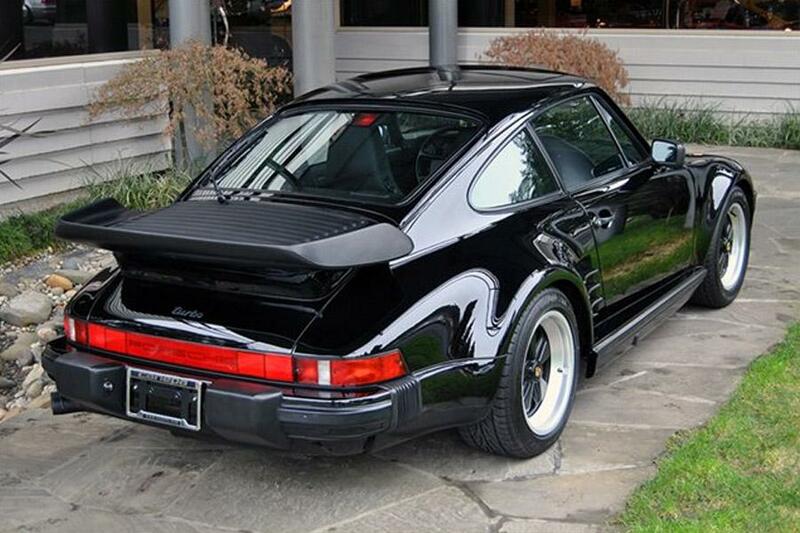 Also part of the slantnose package was a custom front clip, flip up headlights, fender louvers, big wheel arches with grilled forward facing air scoops and extended rocker panels.